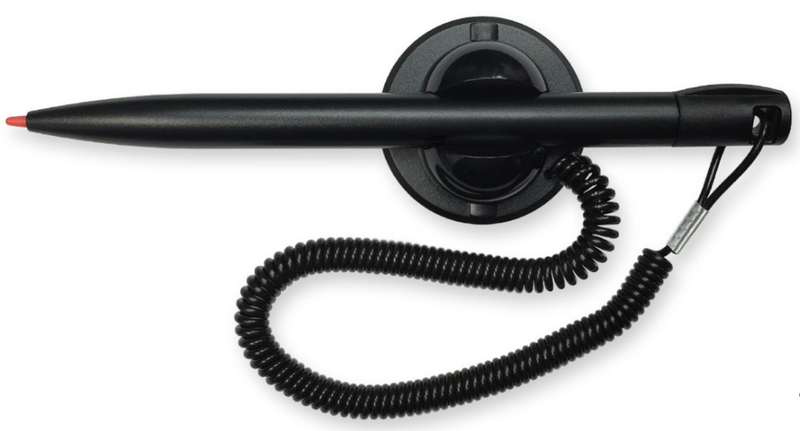 This commercial grade resistive stylus by Pilot has a proprietary polymer cushioned tip and a 30" coiled tether with an adhesive backed holder. Custom stylus printing available. Call for more information. Stylus manufactured in Japan.